What do you want exactely that is not in holdfast ? 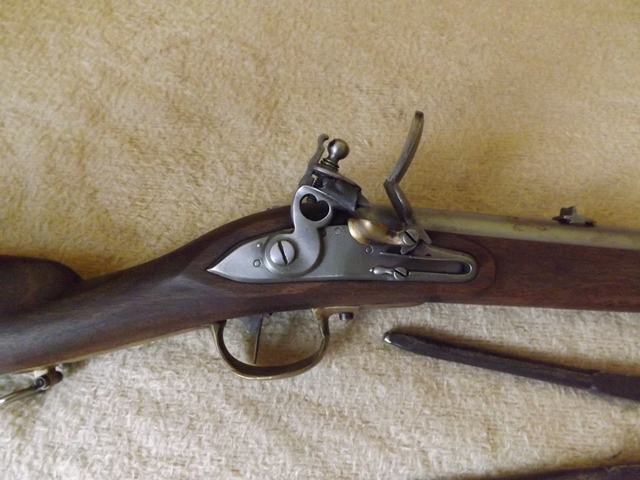 To see the "back" of the musket when you aim down sight ? why now its looks like Tom Clancy’s Ghost Recon from 2001?? This was implemented 10 years ago. I do not understand why it is so difficult to do the same .. Most brown besses had dovetail markers engraved on the barrel, and the charleville had a brass front post to be fair. Some muskets even had iron sights like the light infantry pattern brown bess and all rifles had sights. Also all of the manuals of the time mention aiming down the piece. light infantry pattern, the image is too large to show the front post, but here's the rear one. last one is just a prussian rifle. foot, and look steadfastly along the barrel of the firelock. Even with bare muskets you had to look down the length of the barrel, contrary to the myth that soldiers looked away from the flash of the pan. Yet another musket with sights. I agree. The original muskets of the 18th and 19th centuries were much more accurate than is commonly thought. Would certainly help add to the look and feel of the game.